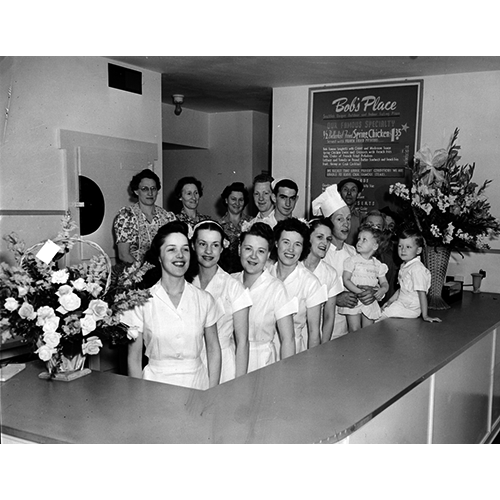 A smiling staff is ready in March 1945 as Bob's Place reopens in its new building at 76th Avenue NE and Bothell Way. Charles and Hazel Sarvis operated the popular eatery. Photo courtesy of the Sarvis family.